There has been poaching in Africa since antiquity—people hunted in areas claimed by other states or reserved for royalty, or they killed protected animals. Some of the European big game hunters who came to Africa in the 1800s were guilty of poaching and some were actually tried and found guilty by the African kings on whose land they had hunted without permission. In 1900, the new European colonial states enacted game preservation laws that forbid most Africans from hunting. Subsequently, most forms of African hunting, including hunting for food, were officially deemed poaching. Commercial poaching was an issue in these years and a threat to animal populations, but it was not at the crisis levels seen in the late 20th and early 21st centuries. After independence in the 1950s and '60s, most African countries retained these game laws but poaching for food—or "bush meat"—continued, as did poaching for commercial gain. Those hunting for food present a threat to animal populations, but not on the same level as those who did so for international markets. 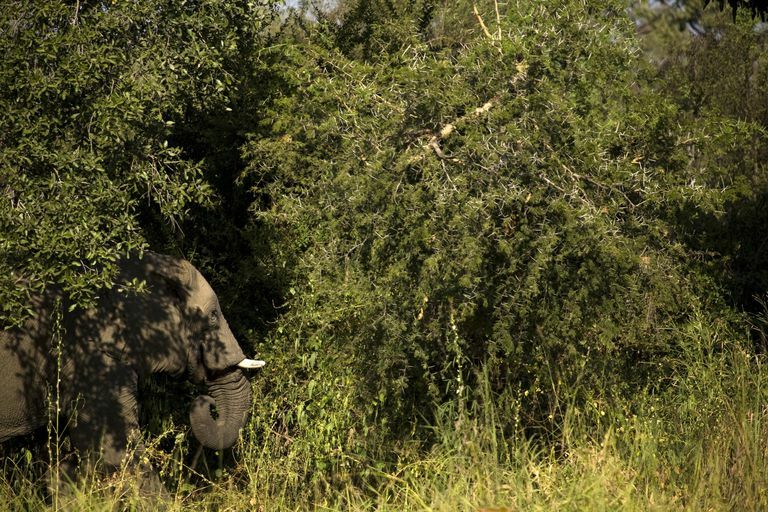 In the 1970s and 1980s, poaching in Africa reached crisis levels. The continent's elephant and rhinoceros populations in particular faced potential extinction. In 1973, 80 countries agreed to the Convention on International Trade in Endangered Species of Wild Fauna and Flora (commonly known as CITES) governing the trade in endangered animals and plants. Several African animals, including rhinoceroses, were among the initially protected animals. In 1990, most African elephants were added to the list of animals that could not be traded for commercial purposes. The ban had a rapid and significant impact on ivory poaching, which rapidly declined to more manageable levels. Rhinoceros poaching, however, continued to threaten the existence of that species. In the early 2000s, Asian demand for ivory began to rise steeply, and poaching in Africa rose again to crisis levels. The Congo Conflict also created a perfect environment for poachers, and elephants and rhinoceroses began to be killed at dangerous levels again. Even more worryingly, militant extremist groups like Al-Shabaab began poaching to fund their terrorism. In 2013, the International Union for the Conservation of Nature estimated that 20,000 elephants were being killed annually. That number exceeds birth rates, which means that if poaching does not decline soon, elephants could be driven to extinction in the foreseeable future. In 1997, the Member Parties of the Convention CITES agreed to establish an Elephant Trade Information System for tracking illegal trafficking in ivory. In 2015, the webpage maintained by the Convention CITES webpage reported over 10,300 cases of illegal ivory smuggling since 1989. As the database expands, it is helping guide international efforts to break up ivory smuggling operations. There are numerous other grassroots and NGO efforts to fight poaching. As part of his work with the Integrated Rural Development and Nature Conservation (IRDNC), John Kasaona oversaw a Community-Based Natural Resource Management program in Namibia that turned poachers into "caretakers". As he argued, many of the poachers from the region in grew up in, poached for subsistence - either for food or the money their families needed to survive. By hiring these men who knew the land so well and educating them about the value of the wildlife to their communities, Kasaona's program made tremendous strides against poaching in Namibia. International efforts to combat the sale of ivory and other African animal products in Western and Eastern countries as well as efforts to combat poaching in Africa is the only way, though, that poaching in Africa can be brought back down to sustainable levels. Vira, Varun,Thomas Ewing, and Jackson Miller. "Out of Africa Mapping the Global Trade in Illicit Elephant Ivory," C4ADs, (August 2014). "What is CITES?" Convention on International Trade in Endangered Species of Wild Fauna and Flora, webpage, (Accessed: December 29, 2015).